Here in Maple Shade, the temperatures are beginning to drop as the fall leaves change colors. Fall is truly a spectacular season, but it can quickly grow chilly. Most likely, you’ll begin spending more time indoors, which could make you feel rather cooped up at some point. 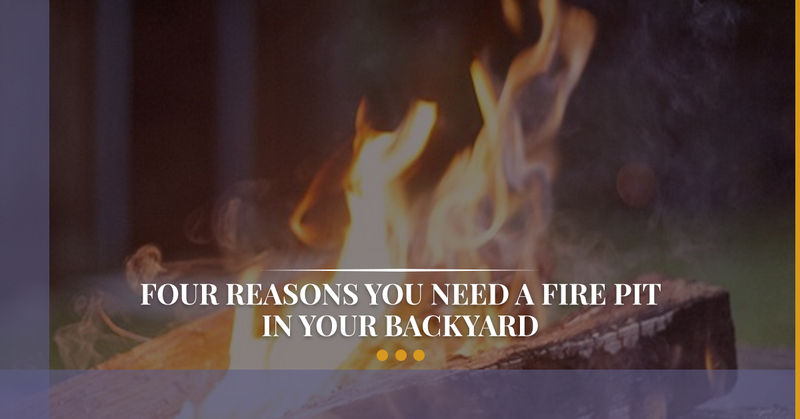 You may not know that you can still comfortably enjoy your backyard when you install a fire pit. Why would you need a fire pit? With a fire pit, you could enjoy dining al fresco this Thanksgiving or even on a regular weeknight. Even if it’s chilly outside, a burning fire pit could keep you warm as you dine nearby with your family. Truly relaxing, as outdoor dinner takes dining to an entirely new level. You could even cook food over your fire pit. If you have kids, you could enjoy roasting s’mores together over the firepit or making good old-fashioned banana boats. You could also grill savory kabobs over the crackling fire for a tasty treat. If you have a fire pit, you can invite your favorite friends over for drinks and snacks by the fire. Traditionally, fires have served as gathering places for people to socialize, and often, the best stories are shared over a smoldering fire. Whether you are old or young, everybody loves the warmth of a crackling fire, so don’t hesitate to have your friends over. As an added bonus, a fire pit could increase the value of your home. In fact, a fire pit could be a major selling point, which is why realtors get so excited when they see one. Once you install a fire pit outside your home, you might feel inspired to increase your property value in other ways as well. By now, you’re probably convinced to buy a fire pit. Head on over to Spa Hearth and Home in Maple Shade, where we have a well-stocked showroom full of outdoor patio furniture. If you want to spend even more time outdoors during the cooler times of year, you may decide to buy one of our hot tubs. For those of you looking to exercise a little more, you may be interested in our swim spas. We’ve provided New Jersey residents with outdoor furniture, swim spas, hot tubs and more for over 17 years, and we love what we do. Our family-owned and operated business would be honored to add you to our growing list of happy customers. Contact our outdoor furniture store today to learn more.